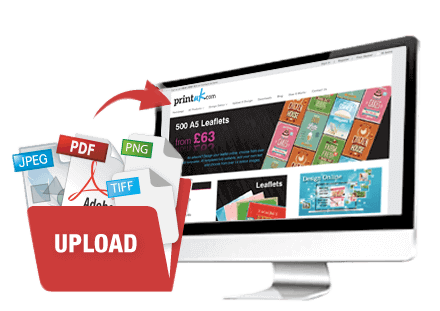 Print Digital Brochures online Upload Your Brochure Print File Here! You want excellent quality digitally printed brochures and booklets at a low cost but high quality, well you have come to the right place. Using our state of the art digital printing press you can expect the highest quality from PrintUK.com. 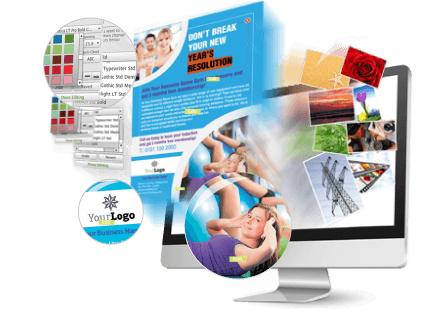 Upload your artwork to create digitally printed brochures individual to your business needs. PrintUK.com provides High Quality, Full Colour, Cheap Digital Brochure Printing. View all Digital Brochure Printing options. Our low quantity digitally printed brochures come in a range of quantities and paper weight therefore they can be fully tailored to your needs. Brochures are a prime marketing tool for spreading the word about your business and services. From coated to uncoated paper in full colour you can make your digitally printed brochure cost effectively and easily here at PrintUK.com today. Upload your artwork now! Digital printing allows you to print lower quantities of your brochure or booklet at a cost effective price whilst maintaining quality. Design your own pricing, product and services brochures, catalogues and promotional printed marketing material online. High quality digitally printed saddle stitched brochures will draw your customers in and boost your sales whilst spreading your brand awareness. Digital printing opens up the opportunity to tailor your printing to specific target areas or events because the low run quantities allow you to design your brochure with a target audience in mind without breaking the bank. Upload your brochure artwork files and order your brochure printing online today. Decide whether or not you would like a white boarder around each page or full bleed. Ensure your contact details can be found easily on the front or the reverse of the brochure. Add that extra dimension with a gloss or matt lamination. Think about the flow, decide on your content and how it merges, drawing attention to key areas. If your artwork and design is funky make your content funky too, try and match the styles to ensure consistency. Remember to use your brand colours throughout select a colour palette that will keep things consistent. Highlight action points! “Find us on social media” for example. Digital Booklets/Brochures are essential to growing your business, highlighting the products and services that you offer. It all starts with with the creation of a standout brochure design. So when you upload and save your Booklet / Brochure design you can come back to it anytime, on any computer. A digitally printed brochure is an adaptable marketing tool which won’t break the bank but create endless opportunities for your business. A digitally printed brochure or booklet has the ability to stretch the boundaries of your customer base through direct mail campaigns, handouts at events or magazine inserts. Brochure printing is vital to boosting business sales but remember you also need to send them out to both prospective customers and your current client base. Your company booklets will entice them to come back and buy the products and services from you. Ensure you have a look at our hints and tips for optimising the success and quality of your new brochure. Add an extra dimension and some sophistication with a shiny finish 170gsm silk paper. Or if you require a more practical notebook or jotter design with the ease of writing notes a low cost 100gsm uncoated paper is just for you. With both full bleed and white boarder options available you can ensure your digitally printed brochure suits you and your business needs. We only use the state of the art digital printing presses so you can be comfortable in the knowledge that you won't be disappointed with the quality. As standard our brochures and booklets come saddle-stitched (stapled), unless you opt for one of our bespoke finishes. Unable to find what you are looking for? We are happy to help, please fill out our Bespoke Quote form as we can offer PUR/ Perfect Bound, Wire-O bound booklets however these are not available as an online option. From newsletters to small booklets and catalogues, digital brochure printing is a cost effective way of producing a smaller quantity of brochures at a cheap price, yet maintaining the high quality we here PrintUK.com provide. Perfect for your quarterly newsletter, booklets, jotters, portable notebooks, product portfolio’s, sales literature, annual reports, monthly magazines, manuals, and a multitude more!